We're talking defined eyes and lashes that look lusher—all with just a lil' eyeliner. Are you a fan of tightlining with your eyeliner? There’s no reason not to—unless you’re struggling with a subpar eyeliner that clumps between your lashes. Or worse: it irritates your sensitive eyes. 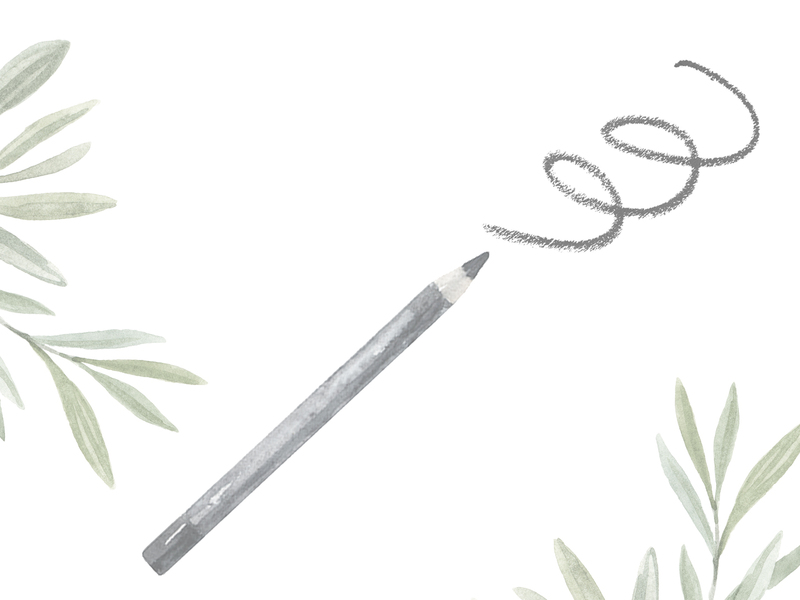 We’ve narrowed down our list to the best eyeliners for tightlining with no-fuss application, high definition pigment, and premium quality natural ingredients. Tightlining is drawing eyeliner right inside your upper lash line and along your waterline. You fill in the gaps to make your lashes look more thick and lush. It also defines the shape of your eyes more. If you do it right, it’s hard to tell you’re even wearing eyeliner, but your eyes will immediately stand out and look more awake. It’s great for a more clean, youthful look and looks flattering on all eye shapes. 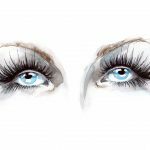 In general, you’ll want to avoid tightlining along your bottom waterline because it can make your eyes look smaller and less natural. 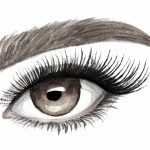 Start from the inner corner of your top lash line, but a bit after your tear duct. This prevents your eyeliner from getting wet, and looks more natural and chic. Draw short strokes on your lash line towards the outer corner. Make sure to fill in gaps between eyelashes, but don’t stray away from your waterline. Stop once you reach the outer corner of your eye. If you have oily eyelids or are going to be out and about, using an eyelid primer will help your eyeliner stay put. Sharpen the pencil and make sure the tip is completely smooth. Pencil eyeliner is slightly resistant, so stick to drawing dots between your lashes. Then simply connect the dots in one smooth stroke! Liquid eyeliner brushes offer more precision, but because they go on so smoothly, you’ll want to stick to shorter strokes for accuracy. This is to avoid accidentally flicking the brush out of place, since brush tips are usually thin and flexible. Hold the brush tip vertically, and slowly draw short dashes on your lash line. 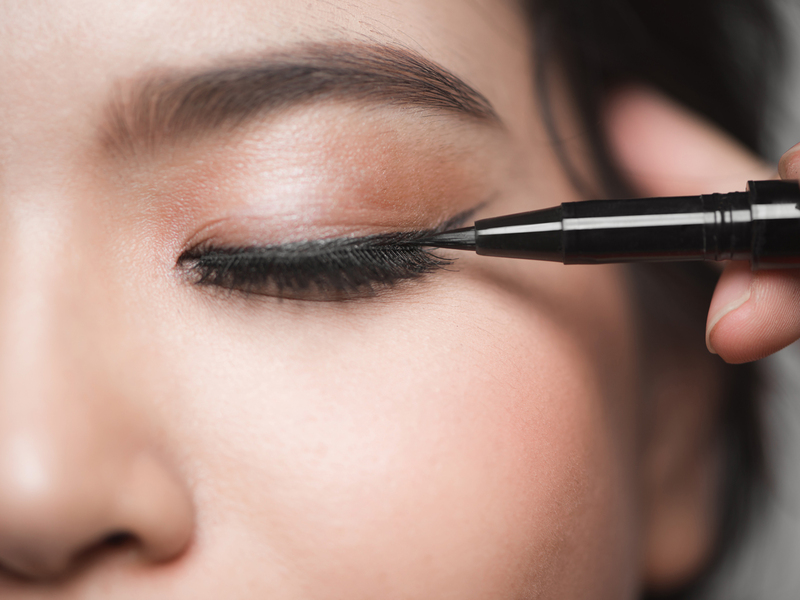 Use the same technique as with a liquid eyeliner, but hold the brush at an angle since it’s not as thin and tapered. A little goes a long way with a gel liner, so stick to using less if it’s your first time trying it. For tightlining, you’ll want to be extra careful about the ingredients in your eyeliner, since it’s going on so closely to your sensitive eyes. The skin on your waterline is extra delicate and prone to irritation. 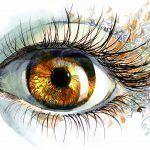 There are many impressive natural eyeliners out there that meet the criteria. But for the tightlining fanatics out there, we’ve picked out a few more that will make the job easier. That means easy application, extra soothing ingredients, and high pigment that will actually stay put. This liquid eyeliner is one-of-a-kind. It’s colored with black tea leaves, so you won’t have to worry about harsh dyes irritating your eyes. The super fine brush tip easily reaches between lashes to create a defined look, and the handle is easy to grasp for detailed application. It’s smudge-proof and water-resistant for long-lasting wear. It also comes in Dark Chocolate (which has actual cocoa pigments in it!) for those of you with light brown lashes. If you have extra sparse eyelashes, or simply prefer something more pigmented for a dramatic look, this gel eyeliner will be your go-to. It offers everything you’d wish for from a gel eyeliner, from a creamy texture to high color payoff. The only difference is that it’s made with clean ingredients that are safe for sensitive eyes and contact lens wearers. A little goes a long way; a few dashes on your upper lash line will instantly elevate your look. For the best tightlining effect, make sure to only collect a small amount of pigment on your brush before applying eyeliner. This liquid liner comes with a firm felt tip, so you won’t have to worry about accidentally flicking your eyeliner out of place while applying. It’s ideal for reaching in between lashes to get the tightest lining. 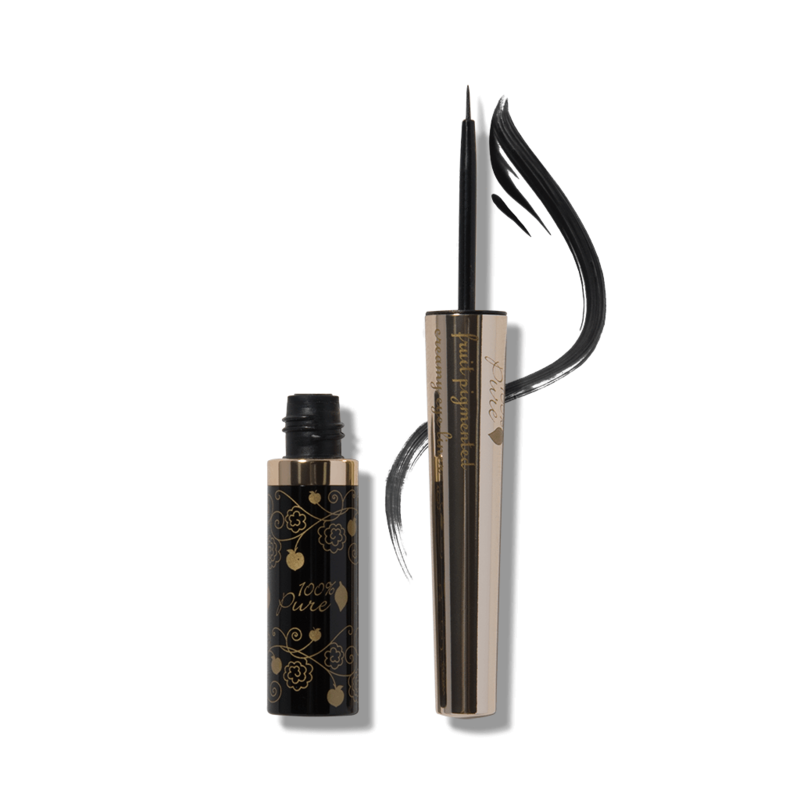 The eyeliner contains probiotics to keep the formula fresh and your precious peepers clean. The herbs rosemary and eyebright help soothe sensitive skin for more flawless, comfortable wear. Get excited, this eye pencil contains jojoba oil in it, so as you’re using it to tightline your eyes, you’re also nourishing your lashes! It works with the Vitamin E in the formula to moisturize and protect lashes against daily damage. Jojoba oil also allows for smooth application—just what you need for tightlining. Mica adds a hint of sparkle to naturally brighten up your eyes more, and we’re digging the different shades to flatter various skin undertones. Here’s another fine-tipped eyeliner that boasts both defining and staying power, perfect for your lower or upper waterline. Use it to create as thin as a line you need for a natural look, or layer on the black pigment for a more intense look. It’s the perfect go-to for people with sensitive skin who have trouble applying liner without ending up with itchy eyes. With these nifty eyeliners, creating the perfect tightlined look won’t be so elusive anymore. And no worries if you get obsessed, since these natural formulas will be soothing and moisturizing your pretty lashes all day long.